Try this delicious vegan mushroom and leek soup that’s perfect as an appetiser for a meal or a light lunch. 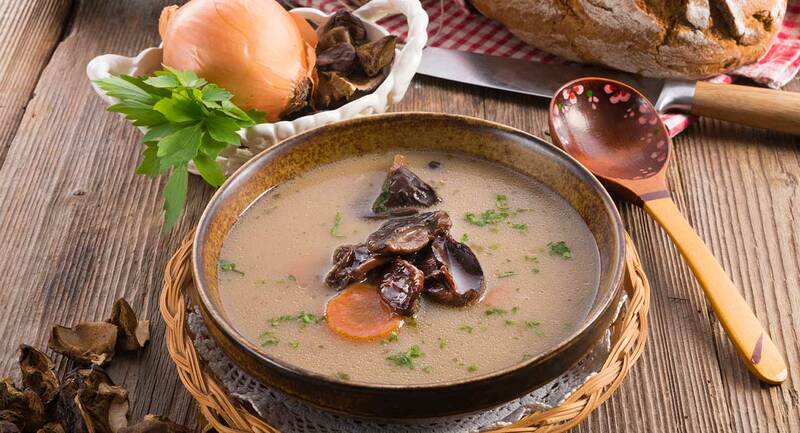 Place the dried mushrooms into a bowl and cover them with boiling water. Allow them to soak for 20 minutes. Heat the olive oil or ghee in a large pot over medium heat. Sauté the leek and garlic until softened. Add the garlic, thyme, carrots and potatoes and continue stirring and cooking for another 2 minutes. Add all remaining ingredients and bring the soup to the boil. Reduce heat to a low simmer and cook until all vegetables have softened. You can add a little more stock or water if you prefer a thinner soup.